Wau region, Bahr El-Ghazal state, Southern Sudan.\nThousands of people, originaly from Southern Sudan, who used to live in Sudan and particularly in Khartoum city for years are now coming back to their homeland. They are given plots of land to live. 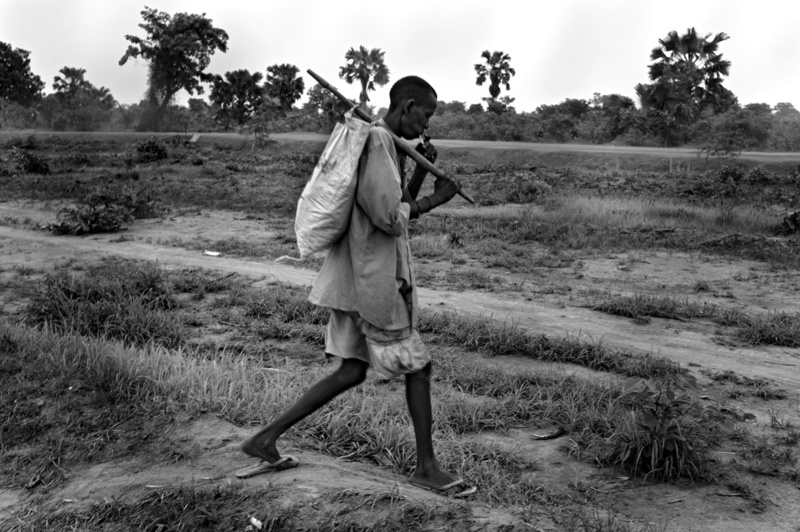 They had to stay in transit camps for months before they receive the promised land from the Southern Sudan government. Abbas Zikel, 47, on his way to the Transit camp where he is going to stay with her siter. They have spent 17 years in Kharoum but wanted to be here for ther celebration of the independence on 2011 July 10.